1. 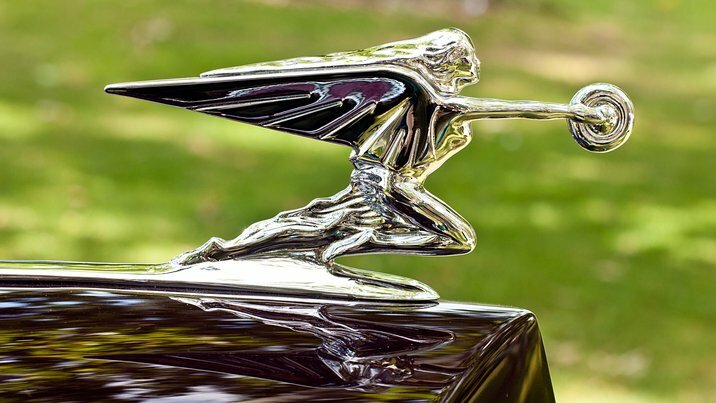 Hood Ornaments - From classic Pontiac Indians and Mercedes stars to the Goddess of Speed and bullseyes, there are a plethora of interesting hood ornaments that come from some of the most well-known automobile models. Hood ornaments make great collectibles because there are so many, but also because they display well on a shelf or in a display case. Take a stroll through local auto salvage yards--especially one that is been around for a while--and you could find a lot of classic hood ornaments to add to your collection. 2. Hub Cap Covers - Hub caps and wheels from vintage cars are collectible, but may not be as accessible or inexpensive as the small hub cap covers that snap in place on a lot of wheel types. Hub cap covers often bear the name of the vehicle manufacturer but there are also those that are purely decorative in form. Either way, if you find a pull-a-part salvage yard where you can stroll through and take what you want, hub cap covers are easy to snap off with a flat screwdriver or a pair of pliers. Plus, hub cap covers are always going to be statement pieces in an automobile collection. 3. Vintage Badges and Emblems - You can use vintage emblems and badges from your favorite make and model of vehicle to create a fascinating assortment or display of the brand you know and love in automobiles. Even though many auto makers keep a similar badge or emblem in a trademarked design for a lot of years, there are some that vary greatly from decade to decade. Tracking down all of the variants can be a whole lot of fun and incredibly rewarding. Additionally, hood ornaments are usually just attached with a few screws and emblems can just be popped off with a screwdriver.